Saturday, April 17th was a memorable day at Sistas’ Place for several reasons. First, it was the re-emergence of Doug Carn in Brooklyn , right down the street from the East where Mr. Carn along with Jean Carn created such important music in the 1970s. Secondly, it was the birthday of Kathryn Farmer, the singer who had learned all Doug Carn’s lyrics and was a major influence according to Mr. Carn, in his deciding to revisit the classic material that he and Jean Carn did together back in the day. Thirdly, it was the 18th wedding anniversary of Ahmed Abdullah and Monique Ngozi Nri. 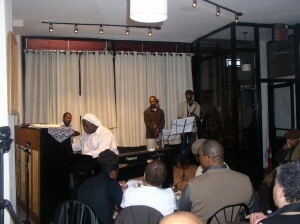 Finally we were in the third week of the Central Brooklyn Jazz Festival at Sistas’ Place and the house was full! The band that Doug Carn chose has apparently been one he has been working with for the last year, since he embarked on this endeavor to reconstruct those powerful lyrics and music of his Seventies fame. Duane Eubanks, a very precise trumpeter was chosen along with Stacy Dilliard on tenor saxophone. 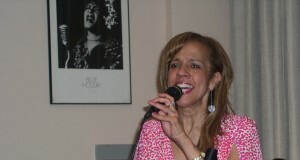 Stacy has been to Sistas’ Place before playing with trumpeter Robert Rutledge. The bass player Rashaan Carter could not make it back because of the volcanic ash in Iceland that prevented any European flights from leaving or landing. His brother, however, Russell Carter did play. After the gig, I remembered that last year I worked in Billy Bang’s band with Russell playing drums and now here he was with another living legend in the person of Doug Carn. Kathyrn Farmer is the vocalist and her voice in the Doug Carn compositional mix is a special one. While it is impossible not be reminded of Jean Carn in this context, Kathryn Farmer does bring a very special interpretation to the lyrics. She studied this music!. 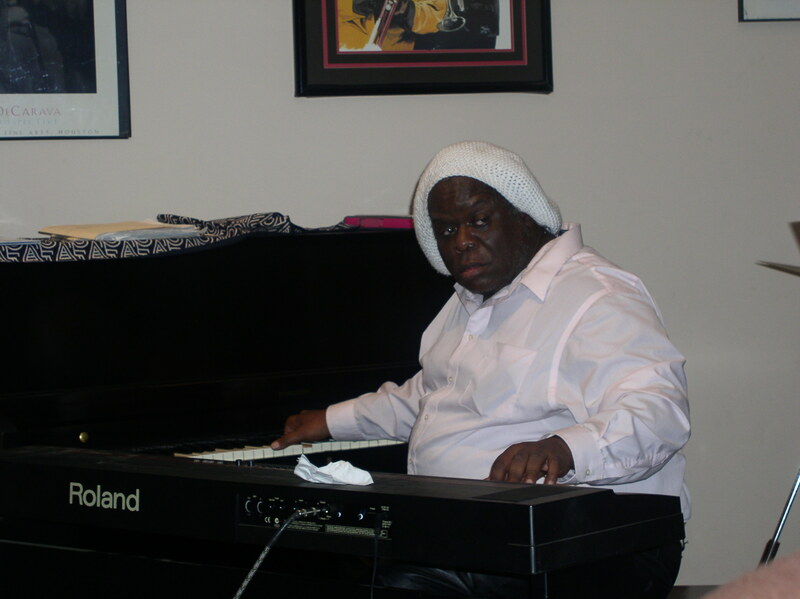 The leader, the maestro, Doug Carn did something very different for Sistas’ Place, he played both the Roland electric piano and the Hamilton Baldwin acoustic piano and oftentimes at the same time. He really did play the pianos like he owned them. They did Bobby Hutcherson’s Little Bs Poem, in a very dramatic way that allowed one to see the importance of the need for continuity in this music. When they got to the hit song of the seventies, Revelation, the house composed of many people who probably heard Doug and Jean Carn do this live many times, erupted in a collective sigh. The wordy lyrics which according to the composer came out of three day fast were sung flawlessly by Kathryn Farmer. Stacy Dilliard played a really emotive and at the same time muscular tenor saxophone solo. Duane Eubanks’ solo was a joy of passion. He is a gifted improviser with a measured yet passionate approach to the craft. Listening to these two young musicians, I was reminded that back when this recording came out on vinyl, it was Rene McLean and Olu Dara who were the musicians on record and this music was so much a soundtrack of the seventies in the circles where people had some consciousness. This was totally confirmed when the band launched into Beautiful People Rise. These were the songs that had Blacks folks dancing in the street with the understanding of the need for Self-Determination. Stacy Dilliard began to speak in tongues during his solo on this song. 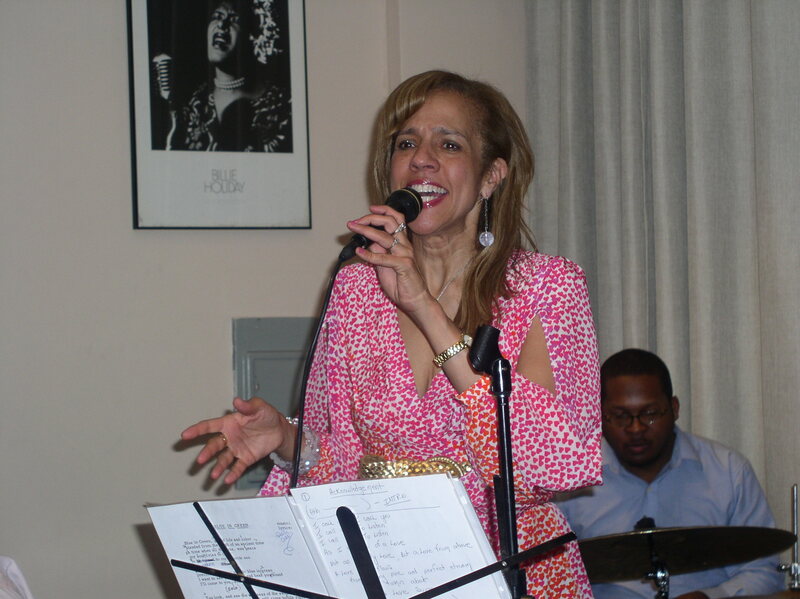 Once Kathyrn Farmer was on the bandstand she acted as MC, calling out the names of the musicians during the solos so that people could be aware of who was actually playing. Doug Carn changed the pace and introduced the Horace Silver ballad known as Peace. What an appropriate song for today’s world. Infant Eyes – a Wayne Shroter compostion followed. Carn talked about the timelessness of the music and the legacy of African music as well as the importance of lyrics to convey the truth and meaning of a song. 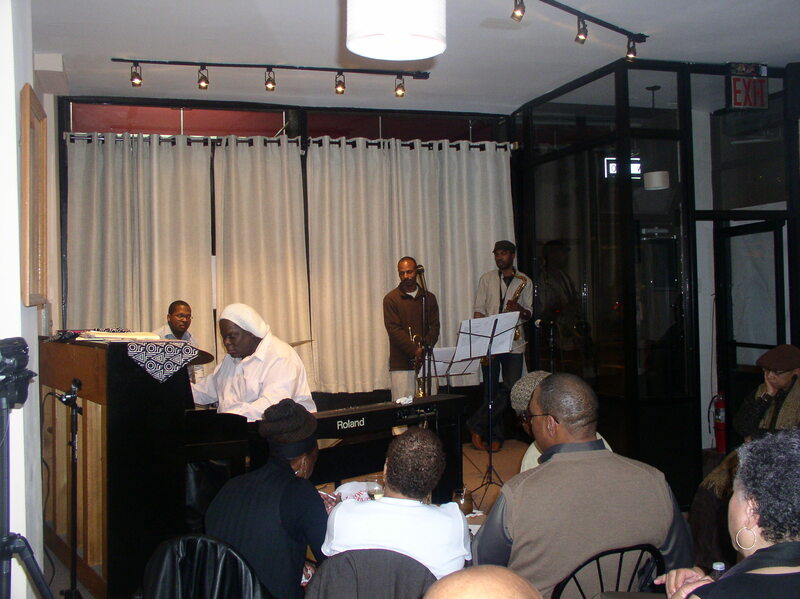 It was once again a wonderful Sistas Place night with another new audience. Stanley Banks, bassist with George Benson was in the house to promote the CBJC Jazz Festival.